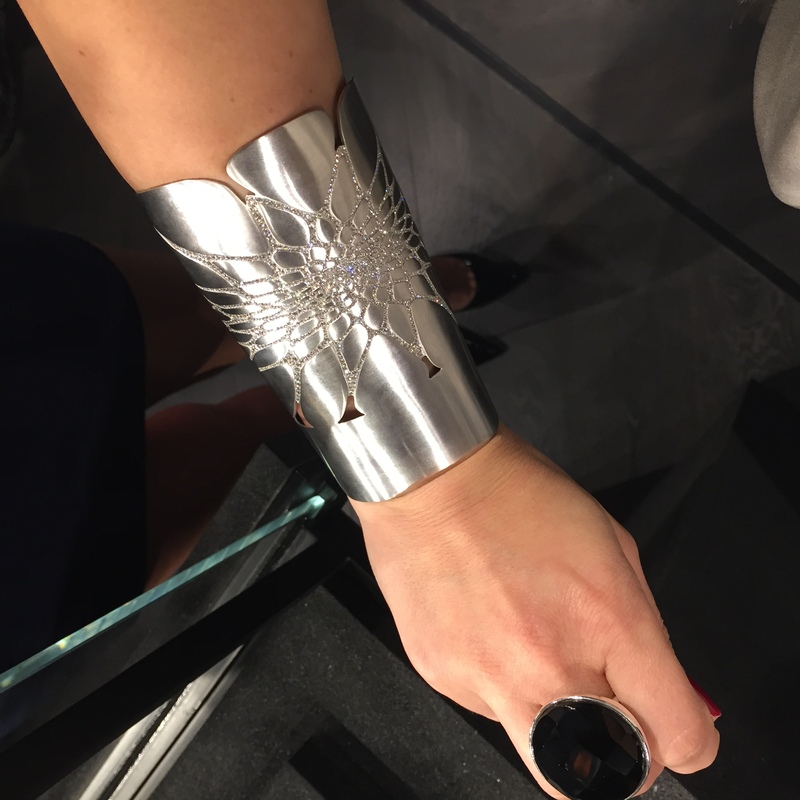 Yesterday March 24, 2015 a private viewing of the ‘Silene’ Cuff by Zaha Hadid in collaboration with AWMouzannar was held at Qirdala, a jewelry shop in Tilal Complex, Shwaikh, Kuwait. The event showcased the cuff along with some of the finest pieces designed by Alia & Dori Mouzannar. 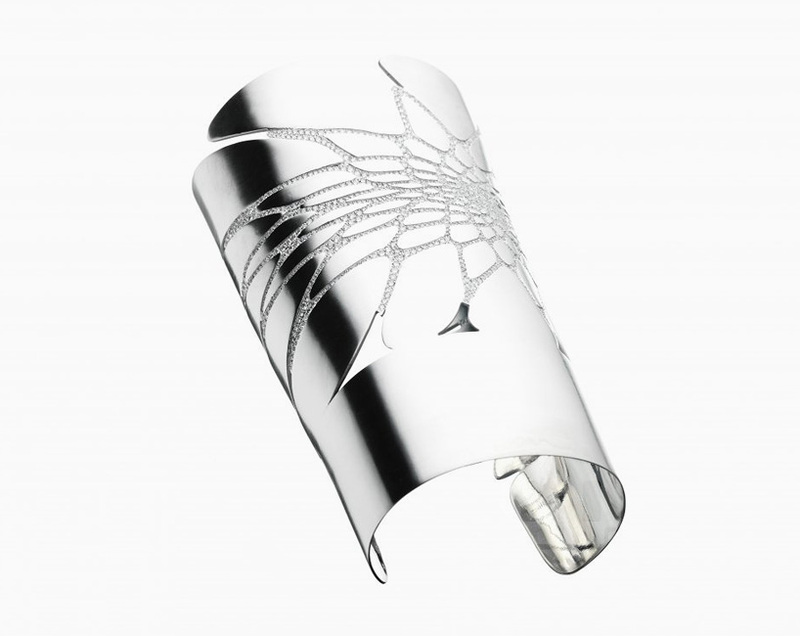 The cuff is made of 12 pieces and is encrusted with 1048 diamonds. The prototype shown is made of brushed white gold but can be ordered in either pink or yellow gold. The price was not disclosed, but what I got to know is that only 12 pieces will be made, 2 have already been sold. This is the epitome of ambition, I admire their sense of innovation. Such a dream job for creative architects. I posted about this project back in 2011, I remember how thrilled I was that Lebanon would have its own Zaha Hadid designed building. Finally it has come to life. Below details from her website. Back in 2007, it was announced the Zaha Hadid Architects would be designing the Opus tower in Dubai. 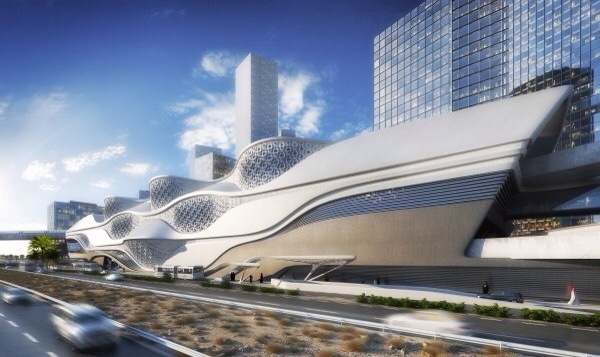 The construction of the Opus is currently in progress, however Zaha Hadid was asked to design the ME by melia hotel (the first in the Middle East) and service the apartments to be housed within the complex. It will include penthouse suites with private roof terraces and will be designed fully by Zaha Hadid, the interior & the exterior. The hotel is expected to operate in 2016.